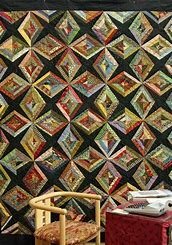 Stop in and see this awesome quilt and you will want to take this two session class to learn the technique of foundation piecing. This is a great quilt to be a work in progress or to just sit down using what you already have and watch the secondary pattern come to life. You have the option of attending the class from 1 to 4 pm OR 6 to 9 pm.